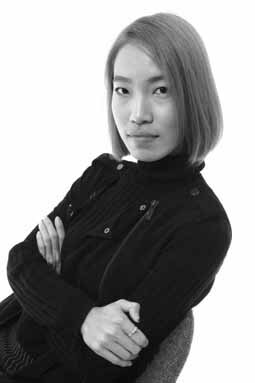 Anita Szu-Yi Chen, MFA Knitwear Design, was born and raised in Kaohsiung, Taiwan. Chen’s thesis collection explores the dichotomy of appearance and expectations in the construction of clothing. She manipulates her knitwear designs into angular shapes with structured folds, and designed her fabric to be reversible with varying patterns on both sides.